As I listened to X’s story, I was amazed. 残而不废 was what I was thinking the whole time – I even said this to X. It’s a Chinese saying that means that disability doesn’t mean uselessness. While X is visually handicapped, it hasn’t stopped her from being of value to the society. She proactively approached SAVH to learn new skills such as massage and used that skill to gain employment, thereby making herself an asset to the society and able to earn a living for herself despite her condition. While that may seem surprising, it isn’t. Did you know that 50% of the world’s population live on less than $2.50 a day? That 80% of the world’s population live on less than $10 a day? And that 22,000 children die each day due to poverty? (Source: Statistic Brain.) How much did you spend on your last meal outside? Probably more than $2.50. Mine was $4 USD: a Subway Veggie Delite sandwich and drink. When you are facing a problem, does your attention shift to focus on yourself, or do you still show care and concern to others around you? Sometimes I can get engulfed in big issues, but I always remind myself to never neglect the people I care about and the people out there whom I’ve pledged my life to serve. Similarly for you, never forget to care for others no matter how bad things are. You’ll be much happier and abundant that way. You create your future. X was working at SAVH for a while, but her pay was minimal since it is a non-profit and the massage fees are low. She then sought out commercial massage companies for employment. Now, most companies will never consider hiring the blind, but she eventually found one that accepted her. She has since been working there for 10 years and counting. 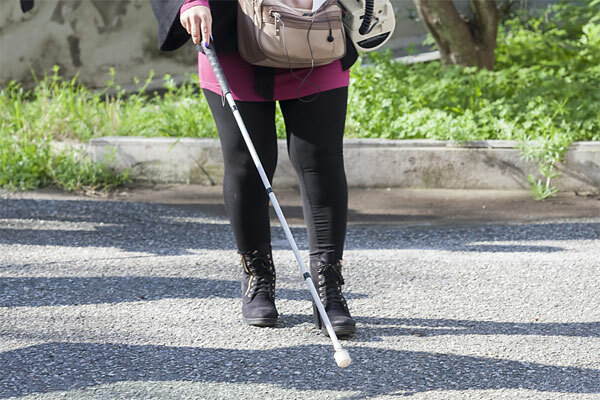 If X had assumed that the commercial companies weren’t going to employ her, she would have stuck to working at the blind association and not ventured out to seek employment at those companies — which would have in turn made this a self-fulfilling prophecy. The reason why she managed to get a job with a better pay was because she asked. She made things happen.How many of us create self-fulfilling problems for ourselves? We assume that we aren’t going to get X or that Y isn’t going to happen, so we don’t even try to make things happen. However, we create our future. We are the CEO of our lives. Don’t let your limiting beliefs hold you back; rather, create the future that you seek. Read: 7 Limiting Beliefs Keeping You from Living Your Best Life. Whatever you are facing, remember you’re not alone in it; all of us are working through issues all the time. It’s not our problems that define us but how we react to our problems that define us.